Did you know that Pinterest drives more referral traffic than Google Plus, Linkedin, and Youtube COMBINED? - Shareaholic. Pinterest Auto Pin for WordPress allows you to quickly and easily add hover – over pin it buttons to your images on the fly making them instantly pinable to any board on Pinterest! Beautiful jQuery hover effects fade in a Pinterest button over your images making them instantly pinable. On the fly button creation – you do not need to type a single line of code or make a single button! Includes 4 different image hover effects / overlays! Optional alt tag description allows you to use your image alt tags as a preloaded description in the pin up box! Can be applied to any image class on your site! 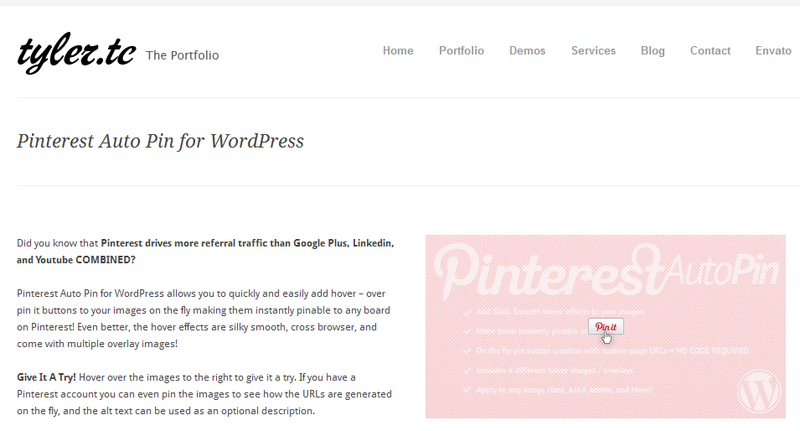 Selective API loading allows you to selectively load the Pinterest API asyncronously. Works with large and small images, images you upload, and images you hot link via a URL! 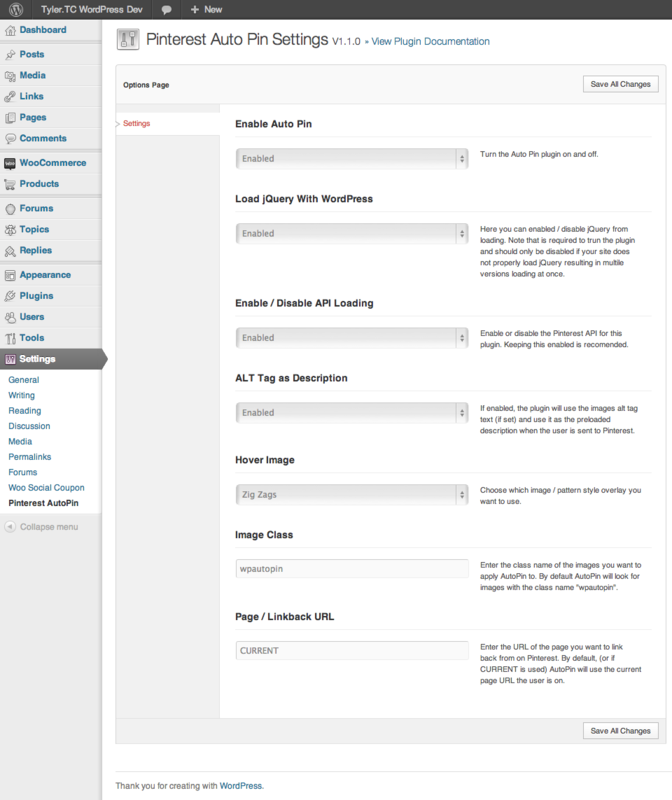 AJAX settings / admin panel! Includes full documentation / usage instructions and examples! AutoPin has been tested to work on all iOS5+ devices including iPad, iPhone, and iPod Touch. - Added full alignment support for left, right and center align.